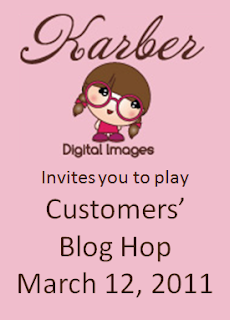 Welcome to the Karber Customer's Blog Hop. 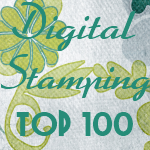 First of all THANK YOU to our wonderful customers that are participating as designers of this blog hop. In order to qualify for a change to win the prize (See photo below) leave a comment on all of the blogs in the hop and on this post. **Be sure to come back and check if you won. BTW: We are having this fun blog hop and a special at Karber Shop click here for details. Had fun on the hop. Loved seeing all the lovely creations! Darling Easter card. I'm ready to start hopping. Thanks for a chance at some great candy. What a fun card. I love that little bunny. Thanks for a chance to win some fun markers. Fabulous card! Thank you for letting me participate! What a darling card! I'm starting the hop now and thanks for the invite! Thanks for the opportunity to win! Well done Karber for organising a Customer Blog Hop - great fun to get everyone involved! great job on the blog hop berenice! Lovely card Berenice! Love the DP you use. Thanks for sharing and have a great weekend! Loved the HOP! It was so much fun participating in my first big hop!!! THANKS BERENICE!! What a great blog hop by including your customers! What wonderful cards! Wonderful cards. Great blog hop! Cute cards. It was a great blog hop.